Maritsa Iztok Mines booked a record lignite coal output for the first quarter of 2008. The largest opencast mining company in Bulgaria produced 5.453 mln tonnes of coals in the period January 1 to March 16, 2008. The figure exceeds by 7% the planned output of the company for the first quarter of 2008. It is also the biggest amount produced by Maritsa Iztok Mines in the first quarter of the year since 2002. The company also produced a record high 23.928 mln. tonnes of lignite coals for 2007. The figure exceeded the planned output by 2.578 mln. tonnes. A total of 92.763 mln. m3 of earth mass covering the coal layers were excavated, transported and backfilled in 2007. This is 563,000 m3 more compared to the target in the company's business plan for the year. 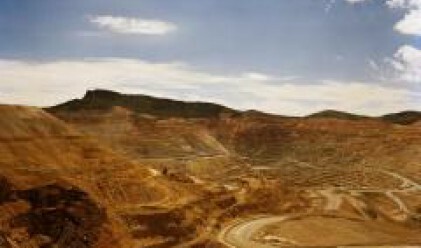 Maritsa Iztok Mines plans to produce 23.1 mln. tonnes of coals and to excavate, transport and backfill 98 mln. m3 of earth mass in 2008. A unique operation on the cutting of a barrier pillar will be held at Marisa Iztok Mines on March 21, 2008. The move will be the beginning of the utilization of the coals blocked between the Troyanovo-North and the Troyanovo-1 pits. The amount of the barrier pillar coals is estimated at 200 mln tonnes.